Do you see something wrong with the above labels? All of them have “fancy” commodity statements, rather than one that is more stripped down. A plain commodity statement would be something like DISTILLED FROM GRAIN rather than DISTILLED FROM FRENCH WHEAT, as on the Grey Goose label above. 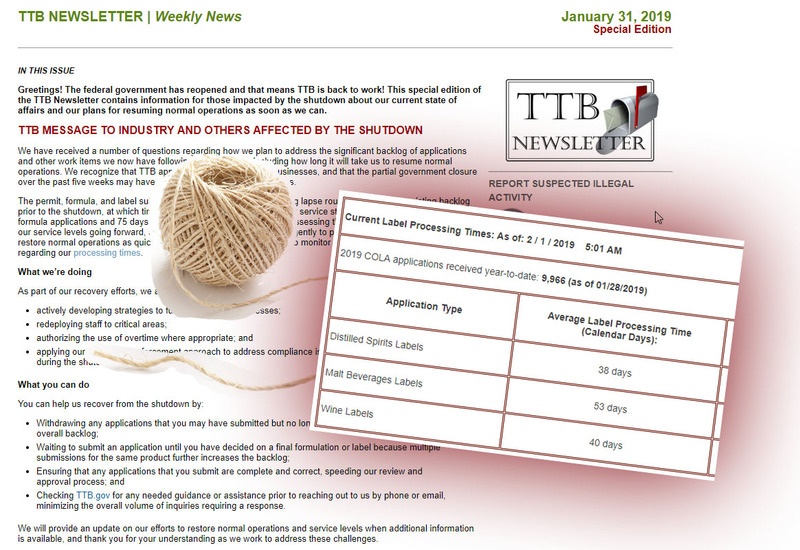 On the one hand, there are many label approvals, such as the above. On the other hand, TTB recently rejected DISTILLED FROM NEW YORK GRAIN and said it must appear as DISTILLED FROM GRAIN instead. Can both the approvals and the rejection possibly be right? Between the two, what do you think is more right? 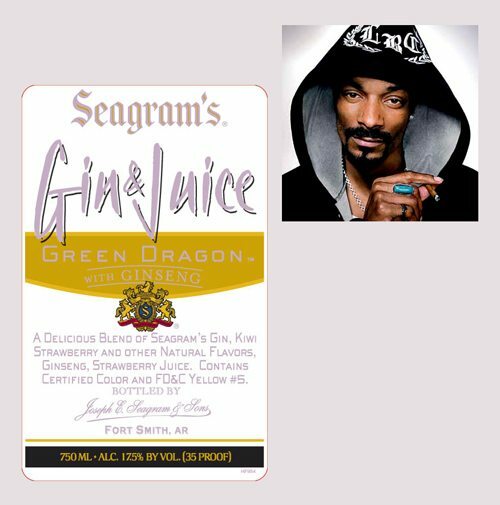 This can be critical because most vodka and gin labels must have a compliant commodity statement, to show the commodity from which the base spirits are distilled. 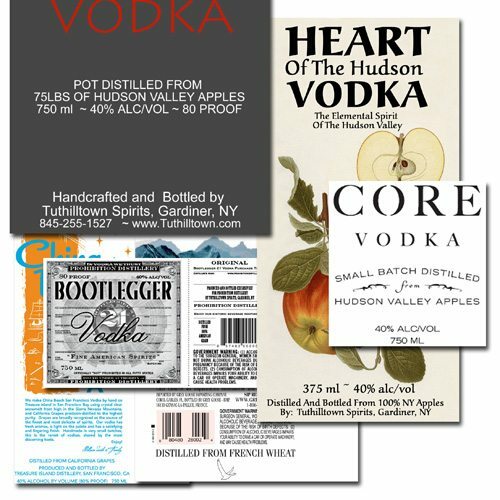 The examples above are Heart of the Hudson Vodka (NY Apples), Tuthilltown Vodka (75 pounds of Hudson Valley Apples), Grey Goose Vodka (French Wheat), Core Vodka (Hudson Valley Apples), Bootlegger Vodka (American Grain), and China Beach Vodka (California Grapes). 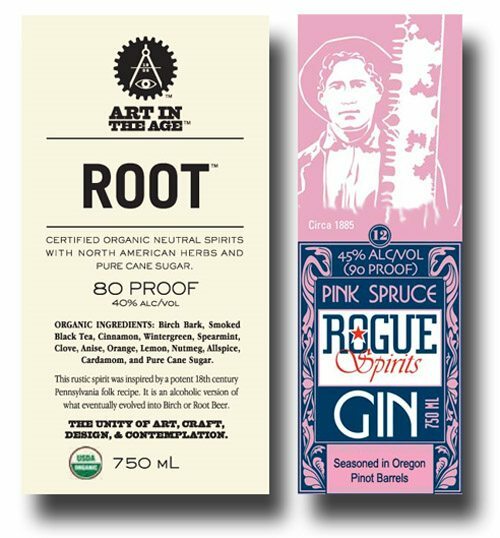 Other examples are Cold River Gin (Maine Potatoes), Soft Tail Vodka (Washington State Apples), True North Vodka (Michigan Rye), and Flathead Vodka (Idaho Sugar Beets). 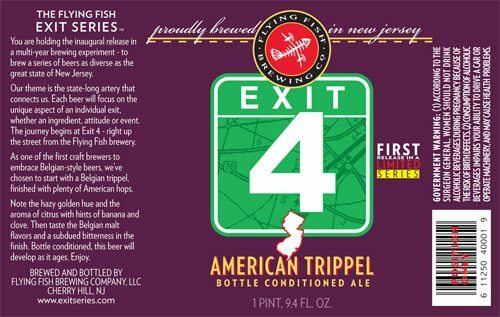 Maybe the world is not in such a sorry state after all, if there is room for outrage about a few beers named after exits on the New Jersey Turnpike. Various media report that MADD was alarmed about Flying Fish Brewing Company’s new Exit 4 beer, named after the nearest highway exit. Google already has well over 8,000 hits for this puny controversy. MADD is apparently concerned about linking driving with drinking, or condoning the same. But even the most cursory review shows that the link here, and the impropriety, are tenuous to put it mildly. Speaking of tenuous connections, it will be difficult for Flying Fish to find a connection between the unique aspects of 29 exits, and 29 distinctive beers. 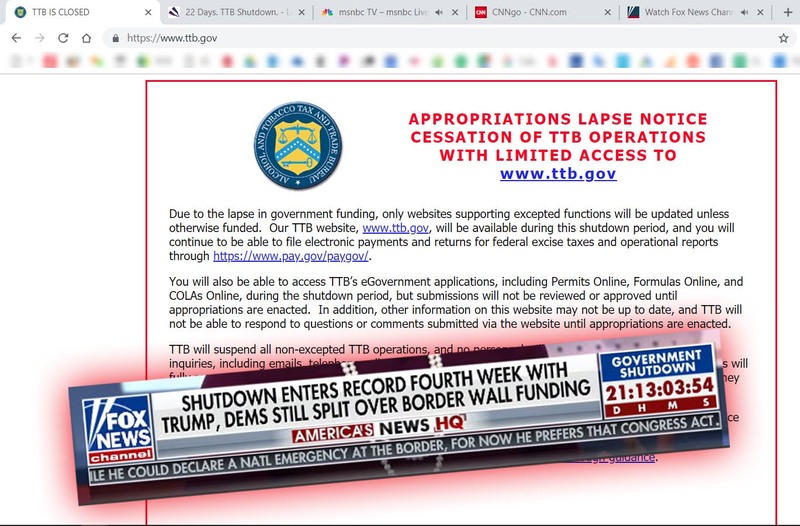 This is well evidenced by Exit 11, the second in the series; the connection is that both relate to … a confluence. Plenty of other labels highlight a highway or exit. Side Pocket Foods has about 10 Exit 172 labels. This Weibel wine celebrates Route 66, and this Oak Ridge wine pays homage to Route 88. And here is Route 3 Chardonnay. There is no reason for MADD to be alarmed about any of them. Red Deer wine claims to be “Tree Free.” We could only guess that this means the labels are made from rice, or something other than trees. But no. The UPC label explains that the wine is “Untouched by oak – The ‘naturelle’ fruit characters of the wine are not overwhelmed by additives commonly introduced by man – LIKE OAK.” We are getting the impression they don’t like oak. 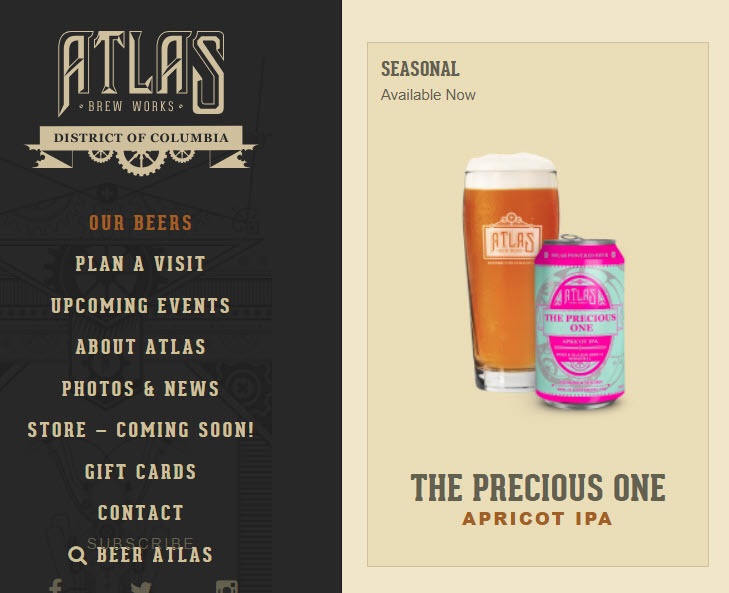 The label says the producer is part of a sustainable resource initiative. It also refers to the “Intense body,” and TTB often disallows “intense” on table wines (where it suggests a high alcohol content). 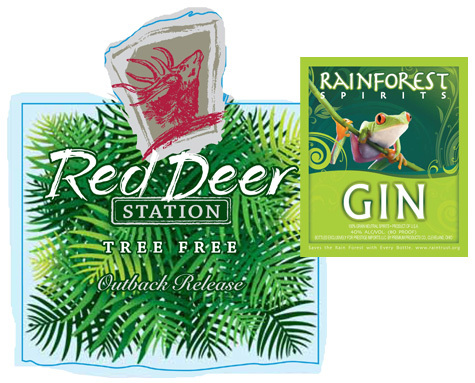 In other green beverages, Rainforest Gin claims it “Saves the Rain Forest with Every Bottle.” Of gin. Made in Cleveland.